Homework is assigned on a weekly basis. It should be completed in a homework notebook and turned in each Friday. Below are the homework requirements for each week. Though the assignments will not change, the subject material will. All changes and additional information will be noted in agendas. 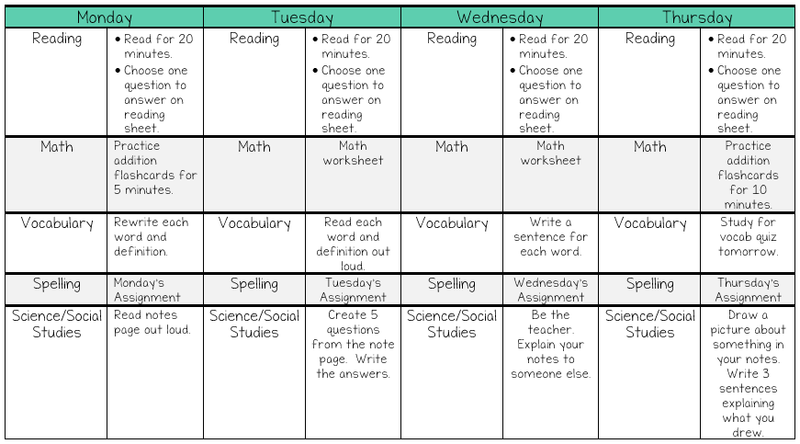 What follows is the weekly homework schedule. Students will essentially do the same assignments each week, though the actual subject material will change. Students should read for 20 minutes every night. If you ever have any questions or concerns, please do not hesitate to contact me. I am always available! !